An important part of managing your diabetes well is being able to spot early symptoms before they get worse—and knowing what to do to get things back on track—or when to get urgent help. 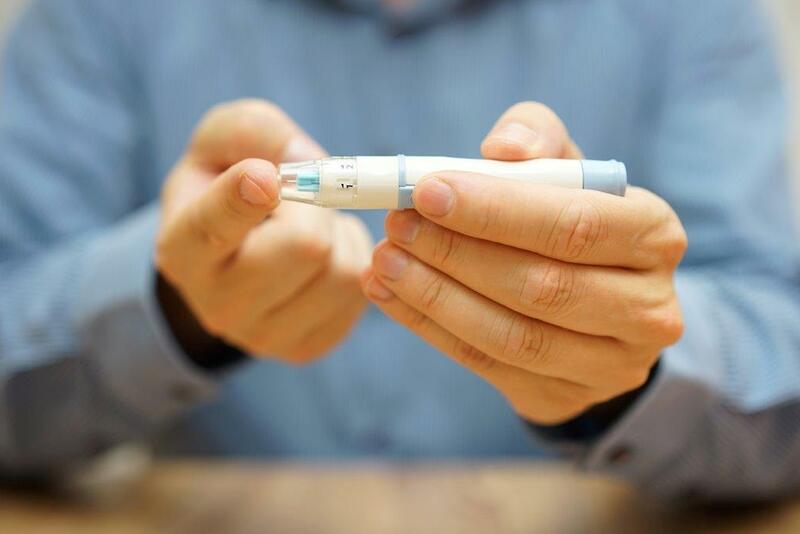 If your hypoglycaemia continues to worsen, more serious signs such as loss of balance, slurring words, confusion, unconsciousness and seizures can develop. If you experience any of these symptoms of hypoglycaemia, test your blood glucose immediately if you can. If your blood glucose level is less than 4 mmol/L or if you are unable to test, eat or drink something high in fast-acting carbohydrate, such as glucose tablets or jelly beans, non-diet soft drink or fruit juice, sugar or honey. Test your blood glucose after 10–15 minutes to check that it is higher than 4 mmol/L. Eat or drink some more if it is still below 4 mmol/L or if you don’t feel right. If it will be more than 20 minutes until you eat your next meal, it’s also a good idea to eat something that contains a longer acting carbohydrate. This could be a piece of bread or fresh fruit, a few pieces of dried fruit, a glass of milk or some natural low-fat yoghurt. Make sure your family or whoever you live with know the symptoms too. They should call Triple Zero (000) for an ambulance if you become drowsy, can’t swallow or become unconscious. Prepare a ‘hypo pack’ so you can address symptoms of hypoglycaemia early. Your pack should include an information sheet with your name, emergency contact details and contact details of your medications and local doctor, as well as a list of the symptoms of hypoglycaemia and instructions for what to do if they occur. It should also include a fast-acting carbohydrate, such as juice boxes or jelly beans, and slow-acting carbohydrate, such as muesli bars or biscuits. Ideally, you should always have your pack with you, and family and work colleagues should know where you keep it. If your blood glucose jumps to very high levels and doesn’t come down, it can cause serious health problems. Your blood glucose levels remain high for a few days. If left untreated, these symptoms can lead to severe dehydration, coma, seizures and even death. If you are unwell for any reason, check your blood glucose more frequently and make sure you continue to drink non-alcoholic, non-caffeinated fluids so that you don’t become dehydrated – even if you don’t feel thirsty. Diabetes also puts you at risk of heart attack so make sure you know what to look out for. Click here to see the symptoms of heart attack, and what to do if they occur.